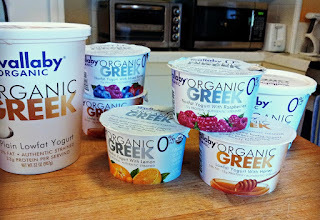 Ever since I discovered Greek yogurt a couple of years ago, I've pretty much abandoned any other kind of yogurt -- with one exception. I still love runny, European style yogurt, but it's really difficult to find yogurt with the right texture in the US. The only kind I could find with a nice runny texture and great taste is Wallaby yogurt. 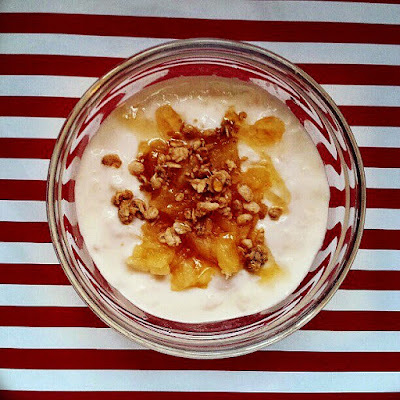 I could eat their Vanilla Bean Nonfat or Lowfat Organic Yogurt all day! 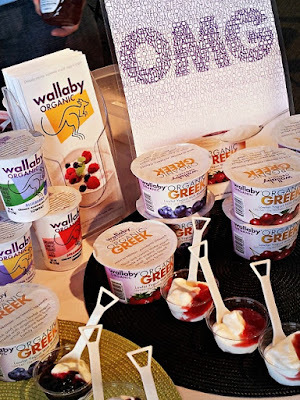 So when I attended the FoodBuzz Festival in October last year and discovered that Wallaby had come up with their own Greek yogurt, I knew I had to try it. 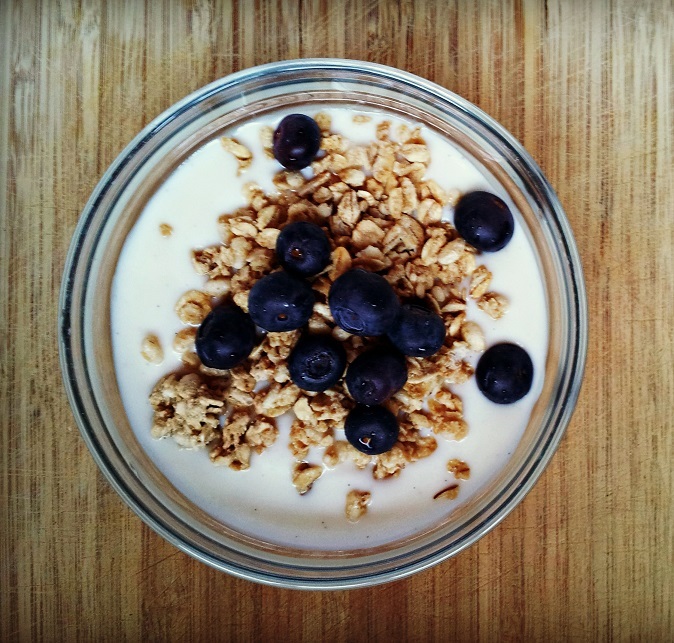 My favorite kind of yogurt and my favorite yogurt brand, finally coming together! I knew I would love it, and I was not disappointed. 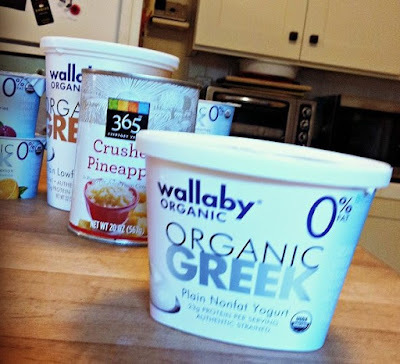 Wallaby's new Organic Greek yogurt line have the thick texture of authentic strained Greek yogurt, and taste so creamy, it's hard to believe they're either low fat or nonfat. They come in Plain Nonfat or Plain Low Fat varieties, so you can use them as a substitute for sour cream or cream in lots of recipes like enchiladas, curries, soups and sauces. I like to sweeten them with honey or fruit for a sweet taste without having to add white sugar! For this photo, I topped Wallaby Plain Low Fat Organic Greek Yogurt with blueberries and granola. Again, amazing. For on-the-go yumminess, Wallaby also makes individual packs of Organic Greek Nonfat Yogurt with fruit toppings. These come in a two-part cup: the yogurt and toppings are separate so you can control how much of the fruit you want to add to your yogurt. There are quite a few varieties of toppings including honey, raspberry, mixed berry and my current favorite, orange. I've never tried this flavor before and I love the citrusy taste! Would you like to receive coupons for free or discounted Wallaby Organic Greek yogurt? Just leave a comment on this post with your favorite yogurt flavor, and I'll pick one winner on March 15 to send the coupons to. Good luck! Disclosure: I received coupons for free and discounted samples of Wallaby Greek Yogurt to facilitate my review, but have not been paid to review the product or give my opinions. Wallaby will be providing the coupons for the giveaway. The views and opinions expressed here are my own. 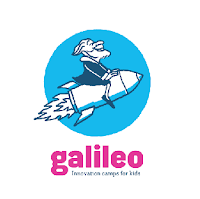 Camp Galileo (for pre-K to 5th grade) and Galileo Summer Quest (for 5th to 8th grade) have the best themes I've ever seen in any day camp! The curriculum development staff know exactly what interests and inspires kids. Camp Galileo themes and Galileo Summer Quest (GSQ) majors (or areas of focus that campers choose) change every week, so kids can attend multiple weeks at camp without getting bored. All activities, from arts and crafts to science experiments to games on the field, are designed to fit the week's theme or major, so kids get to explore their chosen subject matter in depth. 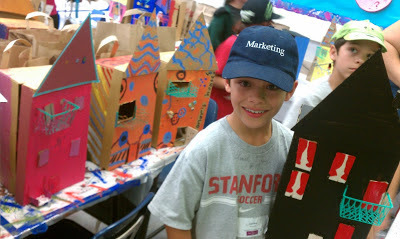 Everything a camper does at a Galileo camp is designed to teach kids how to experiment and innovate. 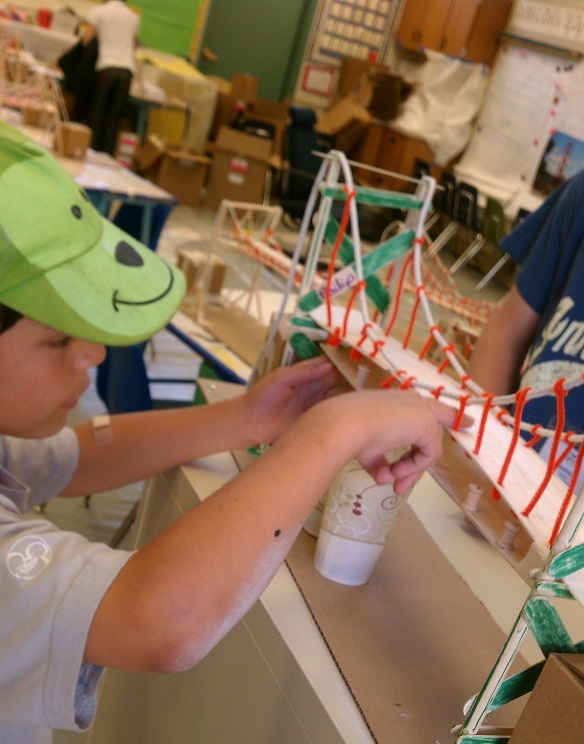 Last year at Camp Galileo, 3Po and Jammy learned about bridges and basic principles of engineering as they worked to build their own wooden suspension bridges. Even more important, they learned how to plan ahead, predict outcomes, experiment with different variables, and adjust their plans based on preliminary results. They were probably having too much fun to know or care that they were actually learning, but they were learning just the same! Galileo Learning 38 camp locations all over the Bay Area, from Tiburon to San Jose, which means you won't have to drive far to find one near you. Every camp session has optional extended care from 8 a.m. to 6 p.m. so working parents can fit camps into their own schedules. They even offer an optional lunch program, featuring hot, healthy meals! A word about affordability: Camp Galileo and GSQ are not cheap, but you get what pay for. They have a full-time staff that works year-round to develop the curricula for each theme and activity. Everyone, from counselors to instructors to interns, are the cream of the crop; many are professional educators and many have been with Galileo for years. You won't find any pimply teenagers more interested in texting their friends than interacting with the kids -- every single person on staff that I've met has been enthusiastic and involved. The tuition rates are higher than city-run summer day camps, but on par -- and actually on the lower end of the price range -- with specialty summer day camps. And if you enroll before Feb. 28 you'll get the Early Bird discount of $20 per session, on top of any refer-a-friend discount or multiple session discount. Yes, that's two days from now, so hop to it! It has been seven years since The Pea first attended Camp Galileo as a tiny Nebula (pre-K), and we've gone back almost every year. Each time my kids have attended camp they have had a wonderful time. I can't recommend it highly enough! 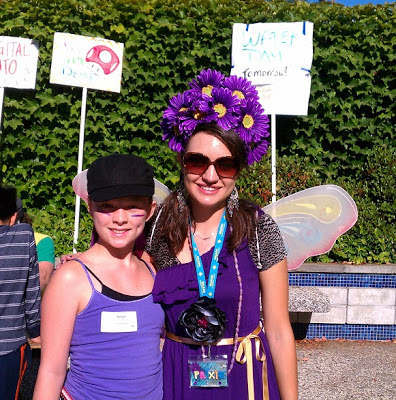 Disclosure:This is the first in a series of posts about Camp Galileo and Galileo Summer Quest, for which I am receiving a free week of camp for each of my children. The views and opinions expressed here are my own. Only two weeks till Disney's latest movie, Oz the Great and Powerful, opens in theatres! That's right, on March 8 viewers will get to see how the two-bit magician Oscar Zoroaster Phadrig Isaac Norman Henkel Emmannuel Ambroise Diggs (at least that was his name in the books), ended up as the Wizard of Oz. I was a great fan of the Oz series (I read all 14 books sometime between 4th and 6th grade), so I'm really excited to see the kind of world director Sam Raimi and screenplay writers Mitchell Kapner and David Linsday-Abaire have dreamed up. I hope it lives up to L Frank Baum's legacy! Disclosure: I did not receive a sample or monetary compensation for this post. Movie synopsis (in italics) was provided by Walt Disney Studios Motion Pictures. The views and opinions expressed here are my own. 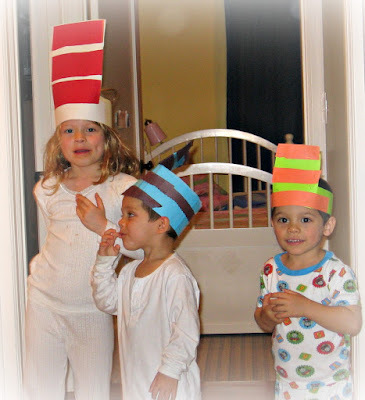 Dr. Seuss' birthday is exactly one week away from today, and my kids are excited to celebrate! Okay, they're actually quite a bit older than they were in the Cat-In-The-Hat-photo above, but they still love Dr. Seuss. They watched The Lorax twice on the plane from Manila to San Francisco, and shhh... don't tell them I'm writing this, but they still ask me to read The Lorax out loud to them at bedtime! Have some Green Eggs & Ham! If that grosses you out, top regular scrambled eggs with broccoli -- or do away with the eggs and ham entirely, and bake a Green Eggs & Ham cake. One Fish, Two Fish Math (I think Rainbow Goldfish Crackers must have been invented by Dr. Seuss!). Watch PBS KIDS! They are debuting new episodes of The Cat in the Hat Knows a Lot About That ("Rumbly Tumbly / Planet Name Game” and “Top of the Sky / Jiggle Bones"), as well as a new online game commemorating Dr. Seuss' birthday week. Join my Dr. Seuss giveaway! You could win a DVD copy of The Cat in the Hat: Safari, So Good. The giveaway ends March 3, so hurry and enter! As a Nukotoys Parents@Play Ambassador, I'm so happy to see their innovative, interactive iPad games get so much great reviews around the blogosphere. ToysBulletin.com, TIME for Kids, Parenting.com, FastCompany and other noted publications have raved about the way Monsterology and Animal Planet Wildlands have successfully combined physical toys with virtual play. Nukotoys was even awarded a "Best in Play" award by Parenting Magazine at the 2012 Toy Fair. In case you don't know what all the fuss is about yet, Animal Planet Wildlands and Monsterology are two iPad apps that you can download for free. In Animal Planet Wildlands, kids navigate through the African savannah, taking on the role of different animals as they learn fun facts, race other animals, solve puzzles, complete quests. 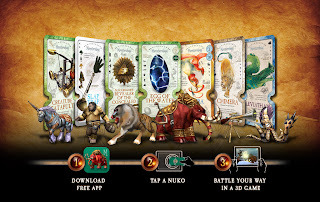 In Monsterology, kids battle each other in a mythical world based on the popular Monsterology books, using mythical monsters in a turn-based strategy game. 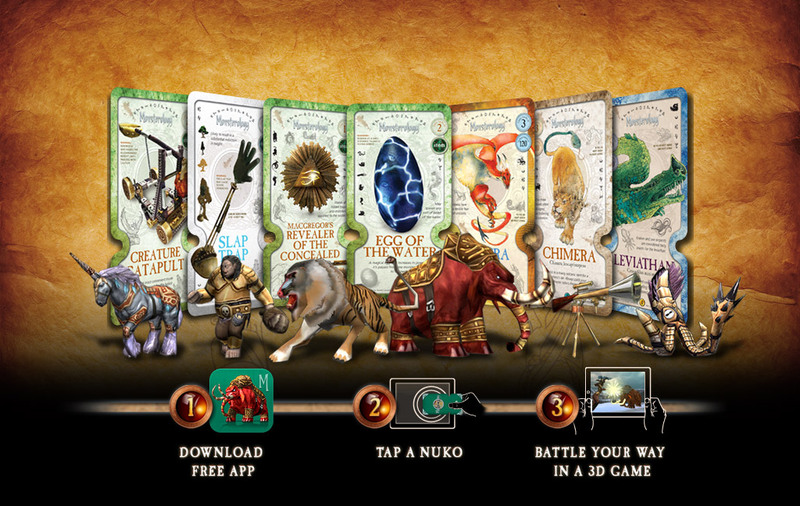 Both games come with a "starter set" of characters (animals or monsters) to play with -- but kids can purchase physical trading cards to expand their character set. That's where the magic happens: kids can "tap in" their physical trading card by touching it to their iPad screen... and the character represented in the physical card comes to life in the app! It's really quite amazing, and kids have so much fun with it. Not only do they get the pleasure of seeing their physical cards come to life as characters in the virtual world, they also get all the fun of collecting, trading and playing with cards. (You can read more about the technology behind Nukotoys' cards and check out more photos in the rave review that I posted last year). Or better yet, buy a set of cards for your child and check it out for yourself! Or better still, enter my giveaway below -- I've got some extra trading cards to give away! One lucky Bonggamom Finds reader will win 8 packs of Nukotoys trading cards -- 5 Animal Planet Wildlands packs, and 3 Monsterology packs, with 3 cards per pack. I'm trying out Rafflecopter to manage this giveaway, so please use the Rafflecopter widget below to enter. Giveaway ends midnight PST on March 5; good luck! Disclosure: I did not receive a sample or monetary compensation for this post. Items featured in the giveaway prize were given to me for previous work as a Nukotoys Parent Ambassador. The views and opinions expressed here are my own. 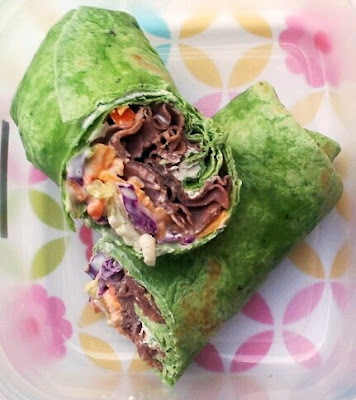 Lay the salad mix in the center of the tortilla. Spread the dressing on top of the salad, then sprinkle the cheese over the dressing. Lay the roast beef slices on top of the cheese. Spread cream cheese around the edges of the tortilla. Roll up the filling inside the tortilla, burrito-style. The cream cheese will help seal the edges. Cut in half and serve. In a large skillet, over a medium heat, combine the pasta, peppers, and dressing and stir until well blended and heated through. Serve garnished with the cheese. We used mushroom ravioli, with a fresh porcini mushroom filling, and the dish was amazing. You wouldn't believe how much difference that dressing makes! It combines with the tangy sweetness of the peppers, and it really works. 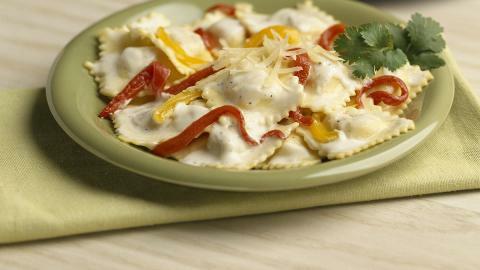 I never would have thought of using Hidden Valley Ranch as a pasta sauce -- it's just one more reason why I never like to run out of it! * A cute blue apron so you can get cooking! This giveaway ends at 11:59PM PST on March 14, 2013; I will draw a winner at random on March 13 and post their name after they confirm acceptance. Continental US residents only. For additional giveaway rules, click here. Disclosure: I received product samples to facilitate my review, but have not been paid to review the product or give my opinions. Prize pack was provided by Hidden Valley Ranch. The views and opinions expressed here are my own. Mom, I love these cookies so much, I'm willing to use my own allowance to buy some for myself! Given that he only earns $3 per month, even a single bag of Sweet Andy's Cookies would be a huge investment for him. Yes, I'm cheap, but I'm not mean. I wasn't planning to make poor 3Po save his hard-earned money to get more Sweet Andy's Cookies, so I bought some myself. Right now, Sweet Andy's is offering free shipping on 6 bags of cookies, so I took advantage and ordered some for the family. 6 bags might sound like a lot, but there always seems to be a teacher or teacher's aide celebrating a birthday, and a bag makes a great present! Also, the cookies freeze really well -- we froze 2 bags, then a week after we took the cookies out of the bag, put them on a plate and warmed them in the microwave. They were just perfect! I've still got five varieties left that I haven't tasted: Pumpkin, Cinnamon Sugar, Peanut Butter Chip, Chocolate with Peanut Butter, and White Chocolate Macadamia but I think I need to give my waistline some time to recover. I can't wait to order my next box of Sweet Andy's Cookies! 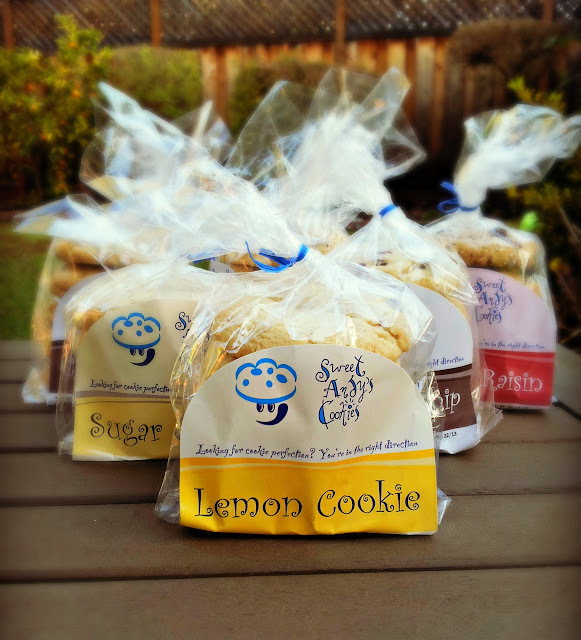 One lucky Bonggamom Finds reader will receive a box of Sweet Andy's Cookies, featuring 6 bags of cookies with 5 cookies in each bag, in assorted flavors! 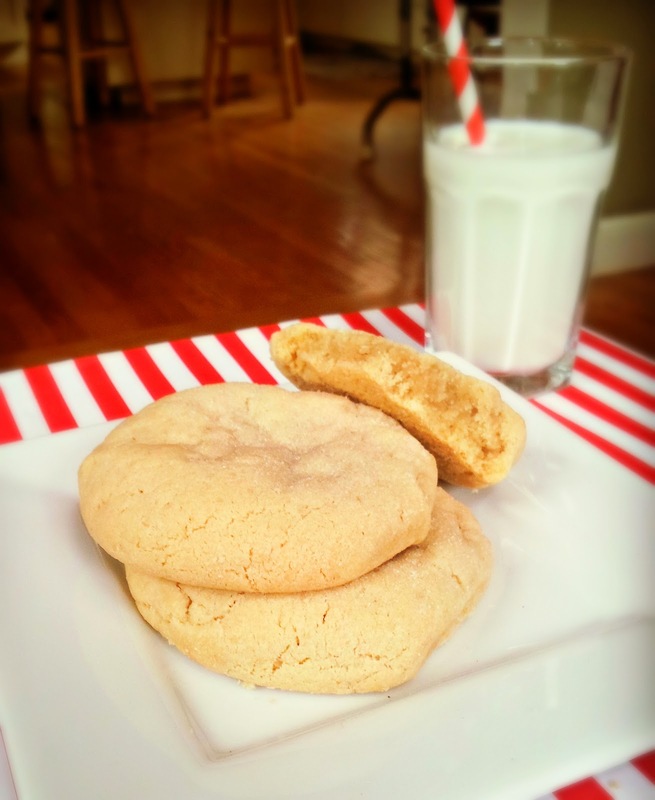 Leave a comment on this post and tell me which flavor of Sweet Andy's Cookies you would most like to try. This giveaway ends at 11:59PM PST on March 12, 2013; I will draw a winner at random on March 13 and post their name after they confirm acceptance. Continental US residents only. For additional giveaway rules, click here. Disclosure: I purchased the cookies reviewed on this post with my own money. Thanks to Sweet Andy's cookies for providing the giveaway prize.. The views and opinions expressed here are my own. These past few weeks have been soooo cold! Blast those icy winds from the North! I've even had to take out my East Coast Woolen Winter Coat, and even though it makes me look like a homeless person I gratefully put it on every morning to shield me from the winter weather. I can't even imagine what it must be like for folks in the midwest and east coast. Actually, I can -- I lived in Boston for 2 years so I sympathize! I love, love, love 3-in-1 jackets because they're so versatile! Your child can use the lining on its own as a cozy fleece jacket in the fall, he/she can use the water-repellant outer shell as a rain parka in the spring, or he/she can use both layers zipped together in the snow! Cold plus wet equals one miserable little person, so these water-repellent snow pants are ideal for snowy play. One Step Ahead has put in lots of parent-friendly, kid-friendly touches like foot stirrups so the inner layer doesn't ride up, removable straps to convert from snow pants to snow bibs, even an extra 2 inches at the hem so you can let it out and your child can keep wearing them a bit longer! Keeping the torso warm is essential, and this puffy vest does it in such a stylish way. I love the way the back is slightly longer than the front so kids' backs are kept covered even when they bend over! 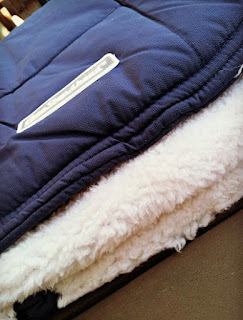 Love those bright colors and snuggly-soft fleece! This is the ONE item I really, really wish had been available when I my eldest was 6 months old and we were braving the Boston winter cold! One Step Ahead sent me a sample of this bunting, and it is really well made. The outer layer is quilted and fits nicely over a stroller, and the inner layer is plush and snuggly so your baby is warm and comfy. Stroller blankets slip and slide, but this zip-up bunting keeps babies snuggly and warm in their strollers. Genius, pure genius. Win a Cozy Cub Winter Prize Pack! Leave a comment on this post and tell me which item in One Step Ahead's Cozy Cub Collection you would love (or would have loved!) for your child to wear this winter. This giveaway ends at 11:59PM PST on March 5, 2013; I will draw a winner at random on March 6 and post their name after they confirm acceptance. Continental US residents only. For additional giveaway rules, click here. 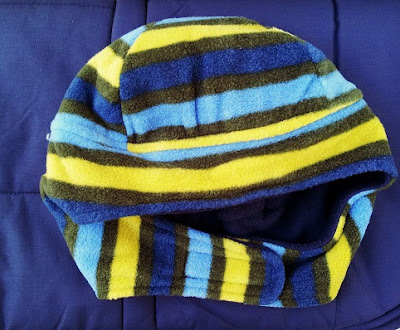 Disclosure: I received a product sample of the Stroller Bunting and Reversible Fleece Hat to facilitate my review, but have not been paid to review the product or give my opinions. Giveaway prize is provided by One Step Ahead. The views and opinions expressed here are my own. (Bonggamom's note: This app is the ultimate e-magazine for young Disney Princess fans. It has everything -- read-along stories, printable princess crown templates, a dress-up mini-app, a recipe for cupcakes, coloring pages and other activities. 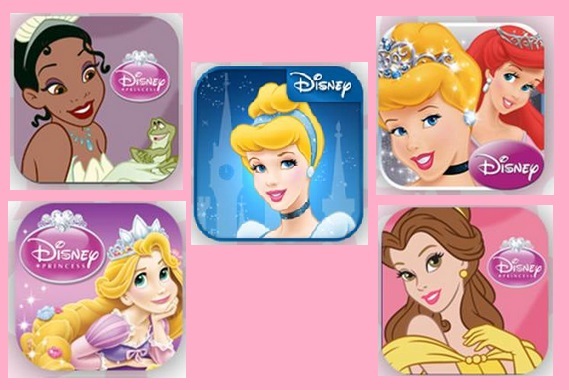 The star of the app is Rapunzel, but the other Disney Princesses make "guest" appearances). The apps are totally worth the cost and the space on your iOS device, because each one has unique activities (not just the usual coloring pages) that your little princess will enjoy. And they're even more worth it at $1.99, so hurry and download the apps, because they go back to their regular price after Feb. 15! Leave a comment on this post and tell me your child's or your favorite Disney Princess. I entered the Disney Princess giveaway! This giveaway ends at 11:59PM PST on Feb. 28, 2013; I will draw a winner at random on March 1 and post their name after they confirm acceptance. For additional giveaway rules, click here. Disclosure: I received review codes for the 4 apps featured above, as well as 4 additional codes to give away. Product information (in italics) is provided by Disney Publishing Worldwide. The views and opinions expressed here are my own.